Neoprene elbow strap for Golf/Tennis elbow pain relief. Do you have elbow pain when golfing, playing tennis or doing everyday activities? 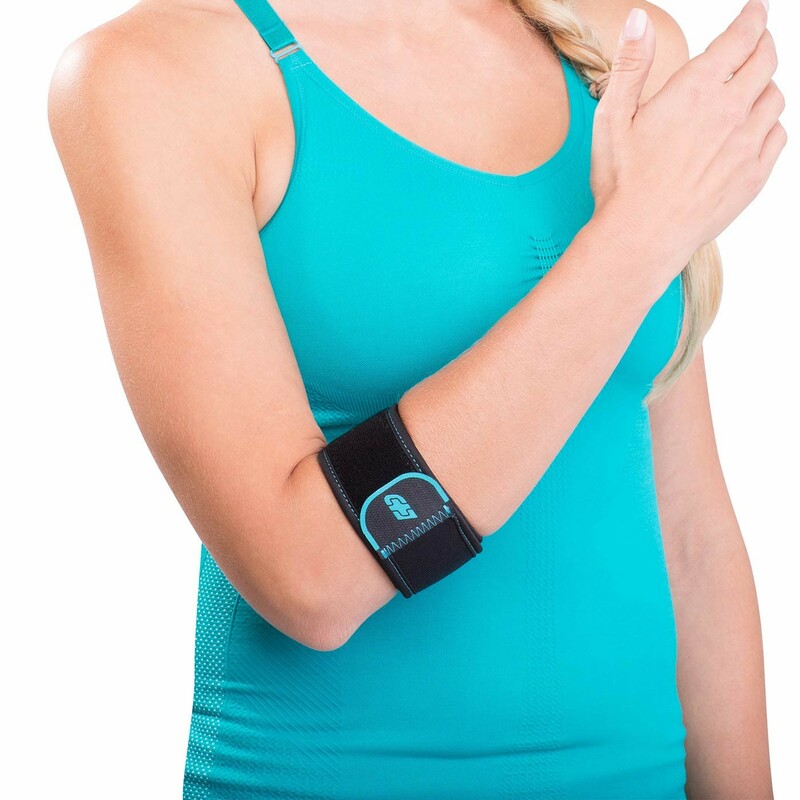 The DonJoy Advantage Golf/Tennis Elbow is designed to help alleviate pain and discomfort when playing. Easy to wear, the Golf/Tennis Elbow applies pressure where you need it most and doesn't restrict movement. Slim and easy to adjust, the Golf/Tennis Elbow can be worn discretely under clothing and is comfortable for all-day wear. 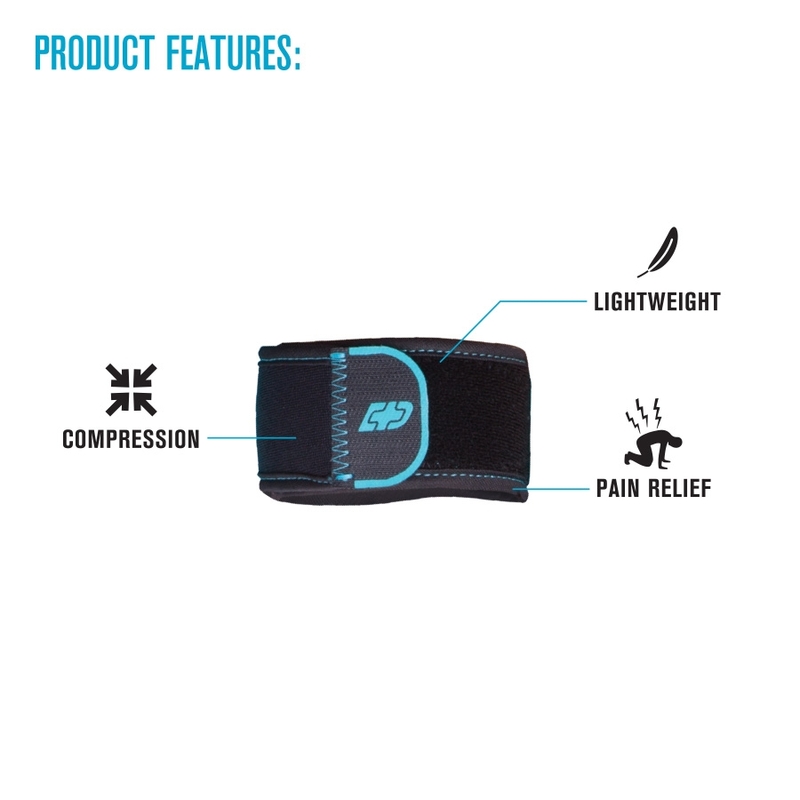 The DonJoy Advantage Golf/Tennis Elbow is a lightweight elbow strap that has a molded pad to provide compression and pain relief associated to Golf or Tennis elbow. The strap is constructed with neoprene fabric that delivers warmth and compression to the injured area. Slim and adjustable, the Golf/Tennis Elbow strap can be worn on either the left or right elbow to help reduce pain on the inner or outer side of the elbow. Wrap the strap just below the elbow. Place the molded pad on the injured area for targeted compression. Adjust as needed.